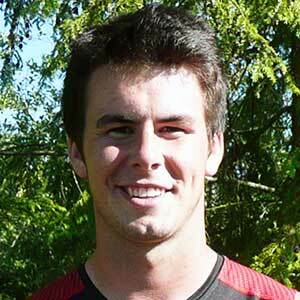 Tanner Mangum is a 6’3” 205 pound quarterback for the BYU football team (Class of 2012). The heavily recruited QB redshirted in 2012 and then departed on an LDS mission (Chile, Antofagasta). He returned June 2015, missing spring camp. However, he is expected to compete for the back-up quarterback position starting in 2015. Mangum prepped at Timberline and Eagle High Schools, where he was a four year starter. However, even before that he started getting recognition for his abilities. As a 13 year-old he was awarded MVP for all 9th and 10 grade quarterbacks at a BYU camp (he repeated as MVP the following year). As a ninth grader at Les Bois Junior High he started for Timberline High School where he threw for 335 yards and four touchdowns in his first game. He finished the season with 2,855 yards, 29 touchdowns and was named to the 5A SIC first team. During his sophomore slump he fumbled six times (losing four) but still managed 19 touchdowns on 1980 yards passing. He transferred between his sophomore and junior seasons and then missed most of his junior season with a shoulder injury, playing just the first game and then the playoffs (losing in the state title game). He was able to throw for 874 yards and 10 touchdowns in 3 games. 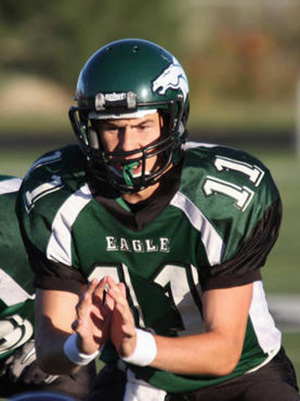 He was named to the All-State team his senior year after throwing for 3,885 yards and 35 touchdowns, and was the 5A Southern Idaho Conference offensive player of the year. He set a single-game school record throwing for 469 yards and six touchdowns. If you total his career statistics and divide by three (30 games is usually three seasons), than he averaged roughly 3000 yards passing with 30 touchdowns plus another two on the ground, against only 7 interceptions. His career completion percentage is 62.3% with 13.8 yards per completion. Being named the co-MVP of the 2011 Nike Elite 11 Quarterback camp during the summer after his junior season has been well documented by cougar faithful, especially after the other co-MVP—Jameis Winston—went as the first overall pick in this year’s (2015) NFL draft. What is less documented is his selfless play at the 2011 Under Armour All-America game, where he switched from team white at half-time in order to help out a struggling black team. Alan Black of Bleacher Report has a great write-up about the performance. Those who coach and report on Mangum consistently note his humility and team-first attitude. In addition to being a star quarterback, Mangum was also an honor roll student, being named to the SIC Academic All-Conference team. He also plays the cello and guitar, was on the basketball team, and is an Eagle Scout. 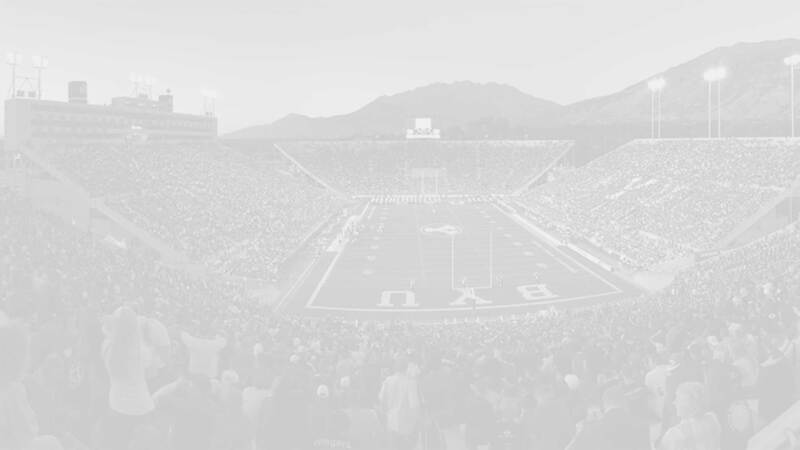 Oldest brother Parker walked-on and played three different positions for BYU (2006-2009), while older brother Madison is a star receiver for Idaho State, but once tried to walk-on as receiver for the cougars. Mangum was the No. 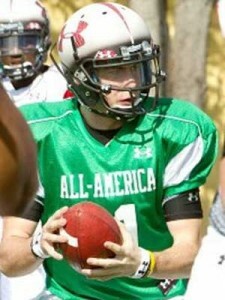 1 prospect from the state of Idaho and one of the top quarterback prospects nationally as part of the Class of 2012. He was rated a 4-star prospect by Rivals, who also listed him as the No. 3 overall quarterback prospect. Scout and ESPN (grade of 80) both rated him 4-stars as well. Mangum held scholarship offers from Arkansas, Boise State, BYU, Oregon State, and Utah. He was also recruited by Michigan, Notre Dame, Oregon, Stanford, Washington State, and Wisconsin. He committed to the cougars on April 7, 2011. Last Team: Eagle HT/WT: 6’3”, 205 lbs.